Have you seen the new Simply Shabbilicious magazine by Kerryanne English of Shabby Art Boutique? It’s amazingly beautiful and is available to view online for absolutely FREE! 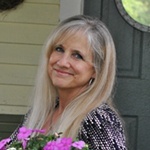 Kerryanne is the writer behind the Shabby Art Boutique blog and is the creative mastermind of Woodberry Designs, an online boutique. She hails from New South Wales, Australia and her creative work is simply beautiful. When she asked to feature my home in the premier issue of her new online publication, Simply Shabbilicious, I was both honored and humbled. The cover of this magazine is gorgeous and its pages are overflowing with inspiration and creativity. This photo mosaic is a sneak peek of some of the pictures of my home that appear in the magazine. I want to extend a heart felt “Thank You” to Kerryanne for including my home in her lovely publication. I hope that you’ll visit her blog. Would you like to see some of the tempting eye candy you’ll see over at Shabby Art Boutique? If you want to pin the following photos, please follow the link provided and pin from there! Kerryanne made these adorable Word Birds that are so fresh and perfect for Spring! 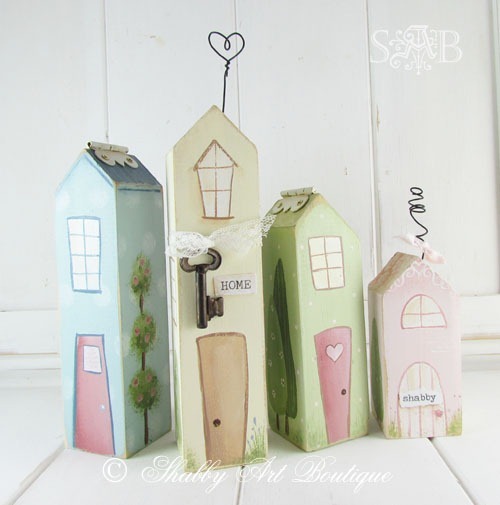 Check out these adorable Shabby Houses that Kerryanne hand painted. She’s such a gifted artist! In addition to her blog, Kerryanne has an online store called Woodberry Designs where she sells her goodies. 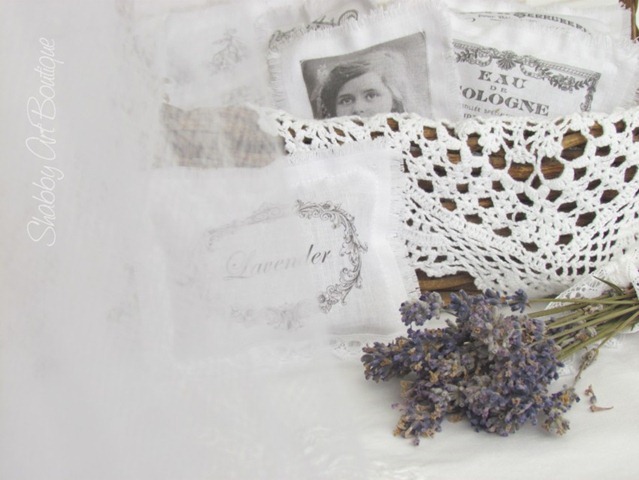 Kerryanne made lovely little lavender sachets from lavender she grew in her garden. Aren’t they exquisite? 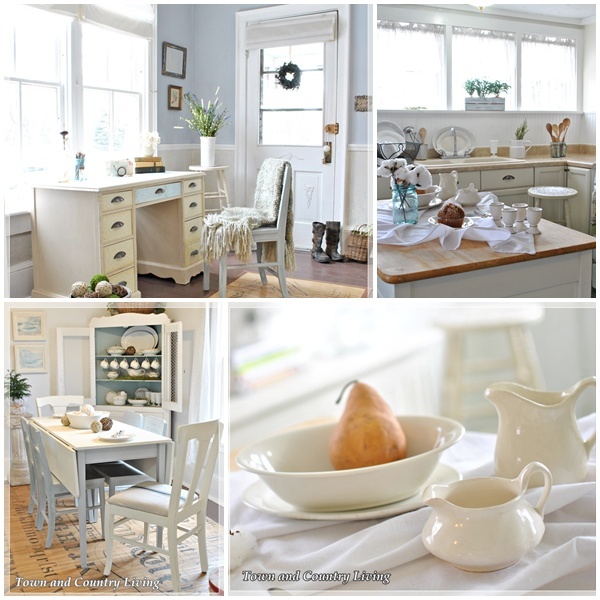 Kerryanne has a wonderful vintage, shabby, French-inspired style to her creations. You can feel her warmth and wonderful spirit in her blog posts and all the pretty things she creates. She has several tutorials on her blog and free downloads for you. 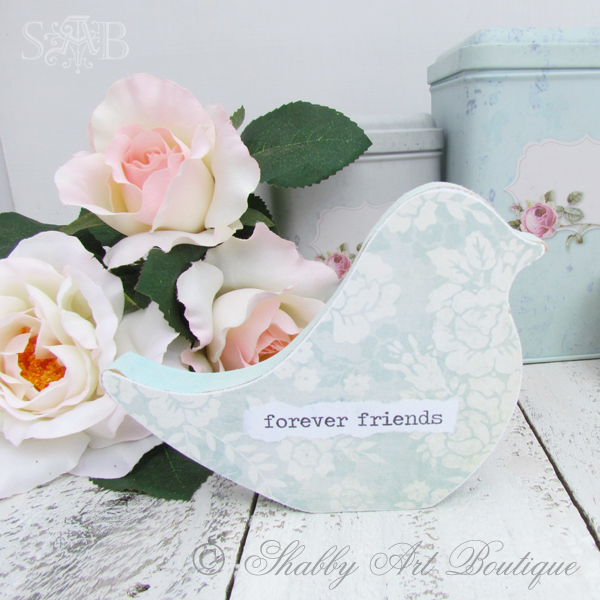 Be sure to visit Shabby Art Boutique to see for yourself. 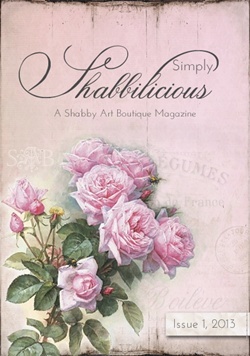 And make sure you view her first issue of the FREE Simply Shabbilicious magazine. You won’t be disappointed! Anne of White Lace Cottage had her home featured in the magazine too! Finally, Kerryanne has a link party every Friday called “Shabbilicious Friday.” The party usually goes live Thursday evening and you can link up anything vintage, shabby, or French inspired. Hope to see you there! Ooh! The magazine looks great. I just went and subscribed. Your home as usual looks GORGEOUS! Congratulations again! So happy to see your beautiful home featured too Jennifer! Yes Kerryanne is so talented! Always fun to join in on her party! I am not surprised that someone would want to feature your home in a magazine! 🙂 Congratulations! How awesome for you!!! Rock on! That is wonderful! I will have to check it out!!! Thank you Jennifer… I feel a little embarrassed reading all those lovely things you’ve said about me. I was thrilled to have your beautiful farmhouse feature in the magazine and look forward to having you as a regular contributor to Simply Shabbilicious. Congratulations Jennifer! Your home is just amazing! Jennifer I am so excited for you. 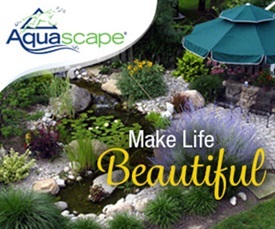 This comes as not surprise since your home is gorgeous. This is so special. Congrats. Bravo, Jennifer! The photos are lovely. You have a wonderful sense of style! Congratulations! Your home will make a beautiful addition to the magazine. I love the cover. I am new to your site and loving it! I love the magazine…very pretty and lots to look at and be inspired from. 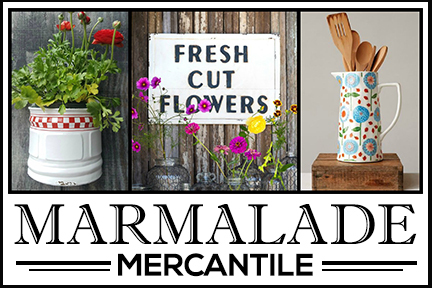 I hope you will pop by my site some time when you have a few minutes…lots of gardening, and decorating going on in my world lately! Congrats! Yur beautiful house deserves to be in such lovely magazine. Have a wonderful week. Your home is so beautiful, and not a surprise it’s in a magazine! Your home and photography is so lovely! You deserved the feature! Thank you so much for your kind comment on my post about my forsythia. I already saw your home some days ago in the magazine. I had such a nice time flipping the virtual pages of the whole magazine. Congratulations on being featured (not that it’s a surprise, given how much I love your house). Congratulations! You should feel so proud. Congratulations…I love your blog and you so deserve to be in this magazine! Hurray! 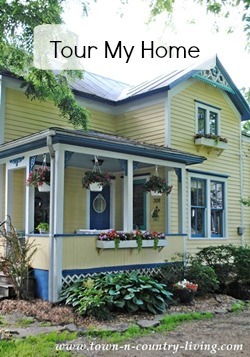 Congrats Jennifer, you know I love your home and blog!! Well deserved. I love KerryAnne! Congrats to you and your fabulous home and photography! Congratulations on your beautiful home being published in The Simply Shabbilicious Magazine! I’m rushing over to see it!! Congratulations, Jennifer, on being featured in such a wonderful publication! Like the other commentators, I agree, it isn’t surprising that you were asked because you have a beautiful home. Have a beautiful day! Congratulations Jennifer! Way to go!